Your home is one of the biggest investments you’ll make in your lifetime. Regularly scheduled and proper inspections are necessary to ensure the you get the most out of your home and protect that investment. Specifically, roof inspections may be one of the best ways to avoid unnecessary and costly repairs down the road. Annual roof inspections can uncover minor defects caused by the elements, normal wear and tear or faulty workmanship. Addressing these issues now can save you thousands in the future. What is a roof inspection? One of our experts will walk your roof to inspect for areas of concern. 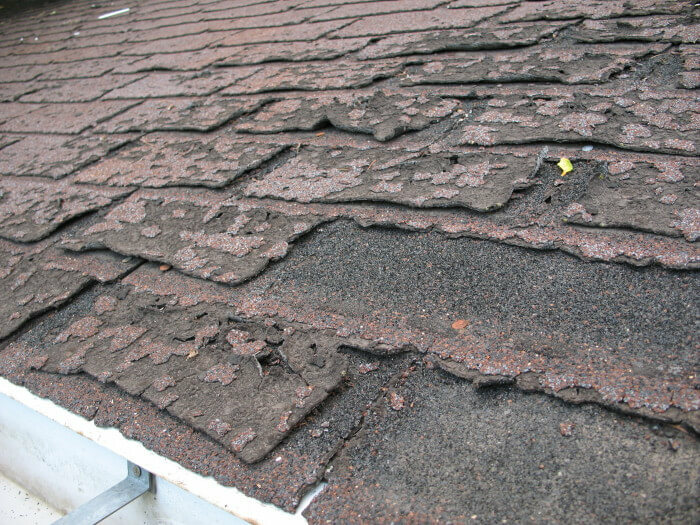 We’ll look for things such as improperly installed shingles, loose or missing shingles, damaged or improperly installed flashing, wind or hail damage, rotted wood, problems with gutters and obvious signs of leaks. We’ll also talk to you about any signs of leaks, mildew or ceiling discoloration inside your home that may be a result of the deterioration of the roof. We’ll even access your attic to determine if you have sufficient insulation and any signs of leaks. Not all roof inspections are created equal! Benchmark roofing experts have more than 50 years combined experience in all types of roofing and we are Certainteed Master Shingle Applicators, SELECT ShingleMasters, we hold an A+ rating with the BBB and are an Angie’s List Super Service Award winning company. Our highly trained and skilled roofing, siding and gutter experts are able to identify not only typical wear and tear caused by the elements, but identify storm damage and most importantly, faulty workmanship which may cause future damage costly repairs. What are the benefits of a roof inspection? We frequently respond to repairs for work when it has become an emergency or very urgent situation. Whether it is a leak that has damaged interior drywall, paint, etc. or rotted exterior wood, or an ice dam in gutters, these are often issues that are 100% preventable when minor issues are discovered as a result of an inspection. Inspection, prevention and maintenance are keys to extending the life of your roof and avoiding costly repairs. Benchmark offers free, no obligation inspections and will provide you with a complete explanation of our findings and discuss all of your options to remedy any potential problem areas. A free inspection today may save you THOUSANDS in the future and significantly improve the quality of your roof and the life of your home. Isn’t it time for your annual home “check-up”? To learn more about what we have to offer and our money saving tips and tricks for your home, sign up for a free roof inspection here, and well get back to you within 24 hours! Very nice article! Yes regular roof inspection is very important and home owners must realize this, as it would help catch the problems in the roof while it is in its infancy, if allowed to grow unchecked then soon a huge bill of repair or replacement would be staring at them. My husband and I moved into this house a couple years ago, and I have no idea what shape the roof is in. Reading this article, I am realizing that we need to get that checked out, and soon!